For the rest of the bio and the interview, please visit the Examiner.com website! London, UK – Mountain meets bioethics! 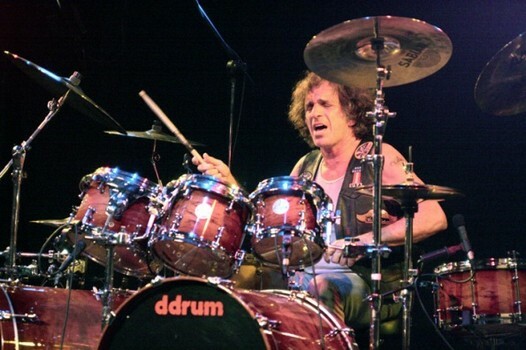 Legendary Mountain drummer Corky Laing teams up with two internationally acclaimed philosophers (Prof. Matti Häyry and Dr. Tuija Takala) in this joint effort that brings together ’70s style music and contemporary moral problems of gene technology. ‘Playing God’ is a concept album. 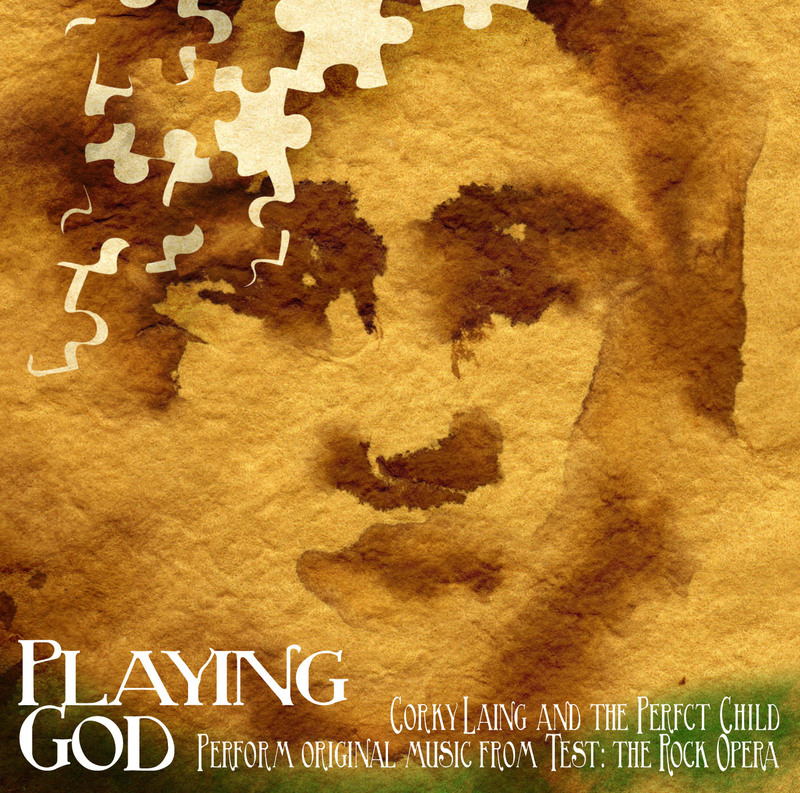 ‘Playing God’ is a musical metaphor for today’s attempt to attain perfection. Musically the album covers many feels and approaches from soft ballads to riff-driven guitar rock, from meditative instrumentals to operatic melody lines. At its core, the guitar-bass-drums combo is complemented with powerful singing. 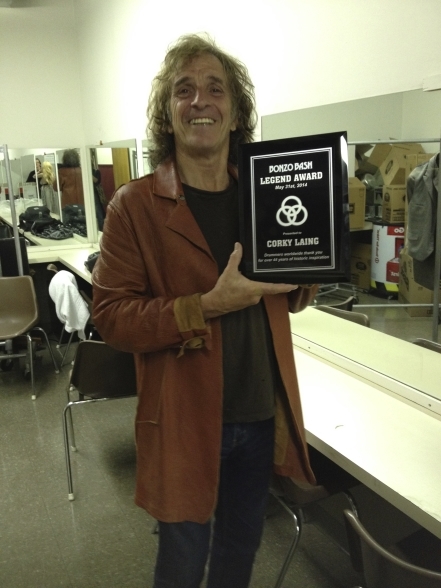 While Corky Laing, the drummer, is known – and his forceful, innovative and mesmerizing drumming features heavily on the album – ‘Playing God’ also introduces Corky Laing, the singer. There is such strength and depth to his voice that one can only wonder why the world has not, prior to this, known him as the lead singer he is. The main female leads are sang by Maya Paakkari (an entrancing raspy voice from Finland), Bonnie Parker (a wide-ranging singer from the band Tang), and Denny Colt (another voice of power and attitude from Tang). The album also features Eric Schenkman (from Spin Doctors) on guitar. ‘Playing God’ was recorded and produced in Finland and further benefits from the local talent of Finnish musicians, singers, and sound engineers. While ‘Playing God’ is a rock album, it is also a soundtrack to a rock opera. It takes the listener to tomorrow’s world by introducing the small town of Happyville, where the people have enjoyed the benefits of genetic engineering for years without any thought. There’s a man who sells science and parents seeking to perfect their children, there are difficult choices and the need to find someone to blame when things don’t go to plan. The choices these people are making are not new, it is just that the tools available are more sophisticated. ‘Playing God’ is a study of the human condition. The themes of the rock opera are based on theoretical research, but the practical questions it poses are relevant to us all. ‘Playing God’ is something new. It represents a crossover between academic research and rock. The ethical and philosophical questions raised by modern biotechnologies are made accessible by using rock music as a medium. On the surface, the storylines are easy to follow, but they also lend themselves to deep philosophical questions about the future of humanity. Just enjoy the music – or allow yourself to be taken on a journey into your own moral convictions. In both cases, you will find something new amidst the familiar.